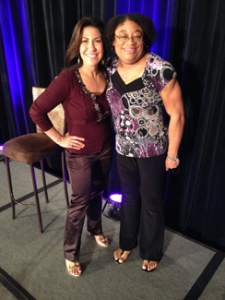 My accountability partner and friend Rosetta Thurman of Happy Black Woman, wrote this really cool blog post titled “A Review of 2014 and My Theme for 2015” (you can read it here) and I loved how she wrote out how her accomplishments in 2014 will help her in her business and personal life for 2015. It didn’t hurt that she mentioned me a couple of times in that post as well. 🙂 So, I thought I’d return the favor and write my own 2014 in review post. Looking at her post really made me reflect and think about last year and what I wanted to take with me into this new year. So, here it goes! What goal am I most proud of achieving in 2014? Me with the President of Chaminade University and the Director of Career Development. My husband came too! 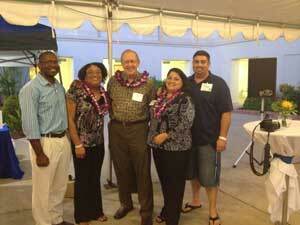 Last year my goal was to do more speaking events outside of Hawaii and have more paid speaking engagements. I was proud to have my FIRST paid speaking engagement at Chaminade University last year. And yes, I dragged my husband with me just so he could watch me in action! What was the most valuable lesson I learned in 2014? The most valuable lesson I learned in 2014 was to keep going and don’t quit, especially when it looks hopeless. My mentor has a saying that sometimes we all “stop short of gold”, meaning you give up right when it’s about to pay off. I never understood that until this past September when I was getting ready to hold my first day 3 event. I had not gotten any registrations for the event, so I canceled it. About 3 weeks later (2 weeks before the event was supposed to happen), I got emails and phone calls from people who wanted to attend the event. Go figure! But that is one of the first rules about holding an event: people wait until the last minute to sign up. I should’ve known better and I really did stop short of gold. What was my best moment from 2014? My best moment of 2014 was winning the Pacific Business News Women to Watch Award. For the first time ever, my husband got to see me go on stage and accept an award for my business. I think this also showed him first-hand how successful I was in business. Many of the awards that night were handed to big corporations on all the islands of Hawaii. And here I was, this small business owner, winning this award. 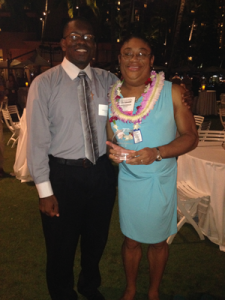 Also, there were some people I knew at the event who congratulated me and it was so cool for my husband to see how known and influential I had become in less than 2 years of doing business in Hawaii! What was the most scariest thing I did in 2014? What was my best business move in 2014? 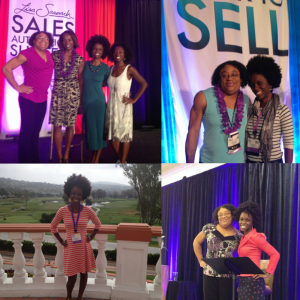 The best business move I made in 2014 was joining the Sales Authenticity Success (Sassy) Mastermind. This was also scary for me because I had never invested in myself and my business at that level before (One of my great friends and colleagues, Sloane Ketcham interviewed me about my mastermind experience. Click here to check it out!). I joined the mastermind in June and it’s a year long program, so I just passed the halfway mark. My business has been growing in leaps and bounds! I finally have a plan of what I want to do and how to get there, and I have met like-minded people who want the same thing who offer great support. I’ve never been in anything like this before and the best part is that there is a community of people that I can talk to and they know EXACTLY what I’m talking about and how I feel, because they’ve been there before. This was the best business move I made in 2014 because I feel like I’m moving forward in a progressive direction. What 3 goals do I most want to accomplish in 2015? 1. Start taking Muay Thai and/or Brazilian Jiu-jitsu classes – this will help me alleviate stress and aggression! What part of my life do I want to pay more attention to in 2015? 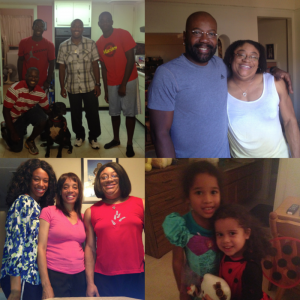 My brother-in-laws, my uncle, my sister and mom, and my 2 adorable nieces! I want to pay more attention to my family. Last year, I was able to visit Los Angeles 4 times! The amazing part was that I was able to squeeze business activities during my visits as well. If anything, I would love to keep surprising my nieces! They had no idea that I was going to be in town for Halloween and were shocked when I showed up to take them trick-or-treating. I definitely want to have more of those kinds of moments with my family. Which new activities, habits or behaviors do I want to start doing in 2015? 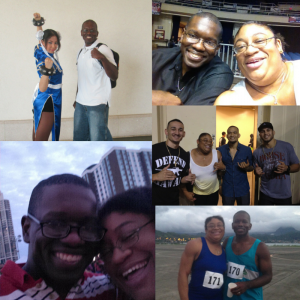 My husband and I had a lot of fun in 2014! I want to spend more quality time with my husband doing fun things. We actually ended up getting to know each other in the gym during college (I like to say we fell in love in the gym working out together during college) and we love Japanese anime and food. We’ve started working out together again, we’ve been to Kawaii Kon (Hawaii’s anime convention) 2 years in a row, and we’re consistent attendees of “Eat The Street” (an evening of food trucks that make delicious food near downtown Honolulu). I would like us to do Spartan Race, more hikes here in Hawaii, or go to more food festival types of events. We’re both busy with our careers and it would be nice to carve out some time twice a month to have some great adventures together! In 2015, I’m committed to learning a non-technical hobby. I spend a lot of time on my laptop, desktop, or iPad, getting work done and it gets tiring. I would love to learn how to make leis (I saw a really cool book about it at the craft shop last week), learn to sew (I’ve been wanting to learn for years now! ), or even go back to writing. I would love to do something that relaxes me without being so technical. What did I do in 2014 that I want to continue to do in 2015? I had a great time attending live events in 2014. I even got to meet Barbara Pender and Christian Mickelsen! One thing that I really focused on last year was attending live events around the country. On average, I was leaving Hawaii 1-2 times per month! But, I made some great connections and friends at these live events. 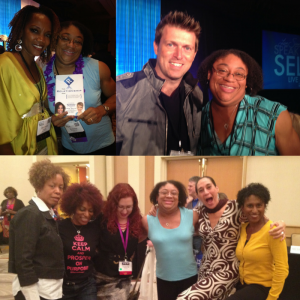 I even got to meet some of the superstars of the coaching and online marketing world! In 2015, I’m committed to going to live events but I’m going to more selective about which events I attend. The second thing that I’m committed to continuing in 2015, is my accountability meetings with my accountability partner, Rosetta Thurman. Rosetta and I have been meeting every Friday for almost a year now. It’s been a blessing to have someone in the same mastermind as me (yes, we’re both in the Sassy Mastermind together and it happened by coincidence!) that follows the same systems and keeps me accountable for those steps that I’m taking in my business. I don’t think my business would’ve progressed as fast as it did last year without someone to answer to every week. It hasn’t been easy for me (sometimes, I get “tough love” from her!) but I know it’s what I need to do to get where I want to be. I’m looking forward to another year of fast-paced progress! What is staying in 2014 and what are you taking with you into 2015? Comment below and let me know!